This detailed ethnographic study explores the intercultural crafting of contemporary forms of Aboriginal manhood in the world of country, rock and reggae music making in Central Australia. Focusing on four different musical contexts - an Aboriginal recording studio, remote Aboriginal settlements, small non-indigenous towns, and tours beyond the musicians' homeland - the author challenges existing scholarly, political and popular understandings of Australian Aboriginal music, men, and related indigenous matters in terms of radical social, cultural and racial difference. 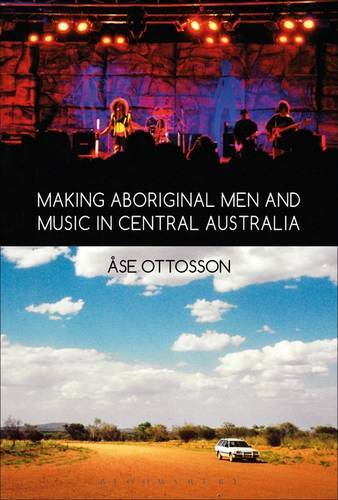 Based on extensive anthropological field research among Aboriginal rock, country and reggae musicians in small towns and remote desert settlements in Central Australia, the book investigates how Aboriginal musicians experience and articulate various aspects of their male and indigenous sense of selves as they make music and engage with indigenous and non-indigenous people, practices, places, and sets of values. Making Aboriginal Men and Music is a highly original, intimate study which advances our understanding of contemporary indigenous and male identity formation within Aboriginal Australian society. Providing new analytical insights for scholars and students in fields such as social and cultural anthropology, cultural studies, popular music, and gender studies, this engaging text makes a significant contribution to the study of indigenous identity formation in remote Australia and beyond.